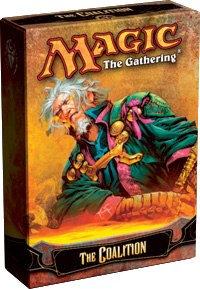 These ready-to-play 60-card decks showcase some of the best cards in Magic history. 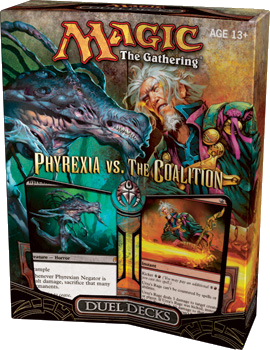 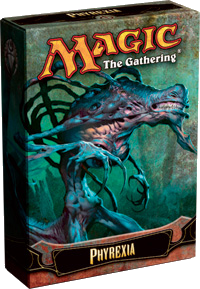 The Duel Decks: Phyrexia vs. the Coalition box set has ten rare cards and two mythic rare cards. 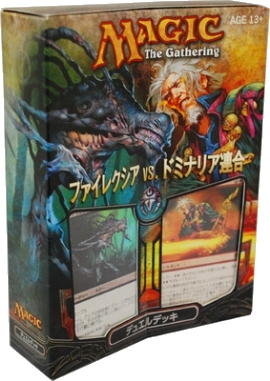 Six cards feature new artwork, including foil alternative-art versions of Phyrexian Negator and Urza's Rage.This set also contains three creature tokens, a custom deck box for each deck, a strategy insert and a Magic “learn to play” guide.